I tend to fill up this pack too quickly. The air tank and airbag take up a considerable amount of space. For me, a couple more liters of storage or a more compact airbag system would go a longs ways. I also miss the fancy waist straps of my old Black Diamond backpack. I think the waist band could be improved. Having tested a BCA Float 22, I quickly learned that it’s a much better pack for skiers and heli days than it is for splitboarding, which is my mode of winter transit. That pack was missing straps to carry a snowboard or strap a coat to it. It’s too small for my saw and rope and I could barely fit a lunch in there. This is where the Float 32 shines. 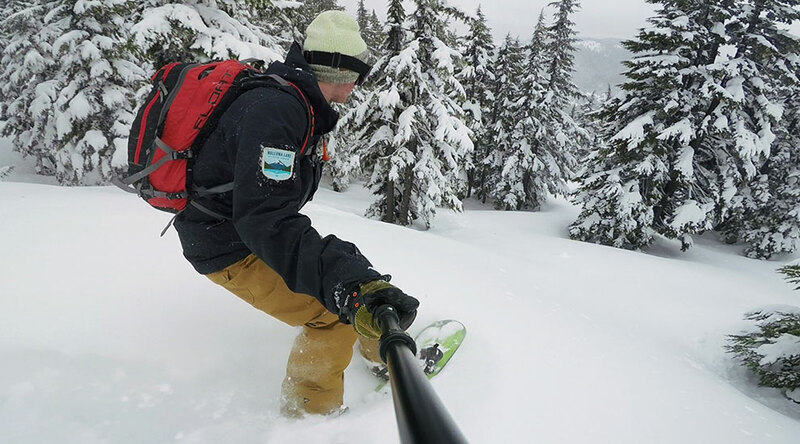 It’s a compact size that fits nicely on your back but comes with all the creature features a splitboarder might want for day trips into the backcountry. 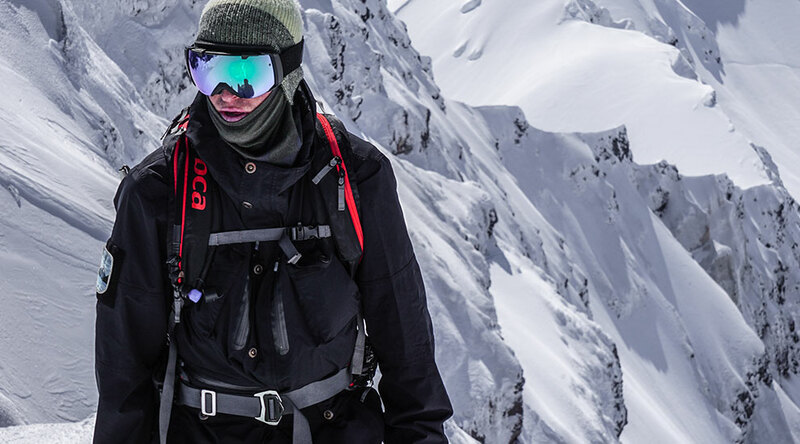 The space it tight but your lunch, extra gloves and goggles, and a full supply of water in a hydration bladder can all fit in additional to your rescue and snowpack inspection equipment. BCA makes good products. The score of 9 for this pack is less for standout features than it is for overall good construction and quality. I have beat on my Float 32 pack for two seasons now and it’s holding up really well. The zippers are all high quality and have good access to each compartment. The arm straps are comfortable and strong, with good shape modeling. My gear stays dry touring in the Northwest and I test the airbag at the end of each season with good results. The air system is simple to connect and use, especially with the plethora of instructions sewed into the bags and in the original packaging. The compressed air tanks are pretty easy to get filled at any dive shop or paintball shop but they are one time use per fill. For the competitive price, I definitely recommend this pack as a do-it -all, durable and dependable avalanche airbag pack. *Note: skip the high prices for tank refills found at outdoor rec shops (I’ve paid $40), by heading to a local paintball or dive shop where prices will be $5 or less.